This stool was made with a shutter from 11 Harcourt Terrace. The shutter is marked by bullet holes from the 1916 Rising. 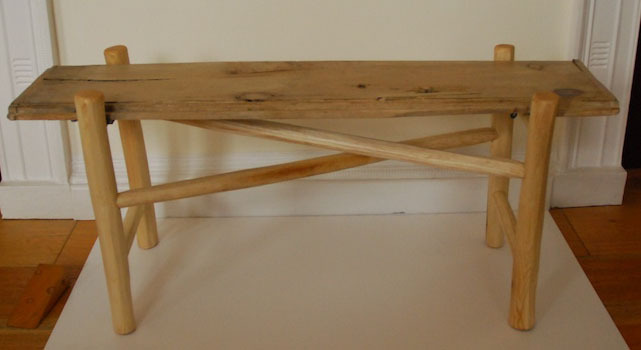 In 2011 James Carroll hand-crafted the stool in his workshop in the Wicklow mountains, using cleft ash. Carroll uses materials often discarded or passed over by others, bringing the pieces to life with traditional Irish craftsmanship.